Ad revenue accounted for $2.34 billion of Facebook’s fourth-quarter-2013 revenue total of $2.59 billion, so it’s no surprise that the social network’s advertising results and initiatives were the topic of the lion’s share of discussion during its earnings call Wednesday. Now, moving on to our business, last quarter, I talked about our efforts to grow our business through improving the quality of our ads, rather than just increasing the quantity. Our goal is to reach a point where the ads are as relevant and timely as the content your friends share with you. To do this, we’ve put a lot of effort into measuring people’s sentiment around our ads and seeing how people engage with them. We do some of the broadest surveys in the world. We survey more than 35,000 people every day to see how we’re doing, and we use the results to drive our product development. Our approach is working. In the second half of 2013, we saw an improvement in sentiment about ads on mobile, even as volume grew during that period. We also saw sentiment on desktop remain stable. Interestingly, even as the volume of News Feed ads has grown, click-through rates have also remained stable. We’re very pleased with these results, and they suggest that our strategy of improving quality is working. Our plan is to continue focusing on improving quality, since we think this is the best way for us to improve the experience for people on Facebook, returns for advertisers, and our own revenue, as well as achieving our long-term goal of providing ads that are as relevant as organic content. There are three key drivers propelling our business. First and foremost is strong mobile engagement. Every day, more people around the world are spending more time on their mobile devices, and marketers are starting to shift their budgets to reach them. This was especially clear during the holiday season, where not surprisingly, Black Friday was our single-biggest mobile ad revenue day in the quarter. When people are shopping in stores, they’re on their phones, and when they’re on their phones, they’re on Facebook. A recent study by Millward Brown Digital showed that while shopping in-store, people who use Facebook do so at four times the rate of any other application or search. And for those people who use Facebook as a source before shopping, more than one-half stated that it was a very influential source of information for them while they were shopping in the store. The second driver of our ad business is a continued growth in the number of marketers using Facebook. Again, this growth is broad-based and diverse, across marketers, verticals, and geographies. I’ll update you briefly on each of our four marketer segments. 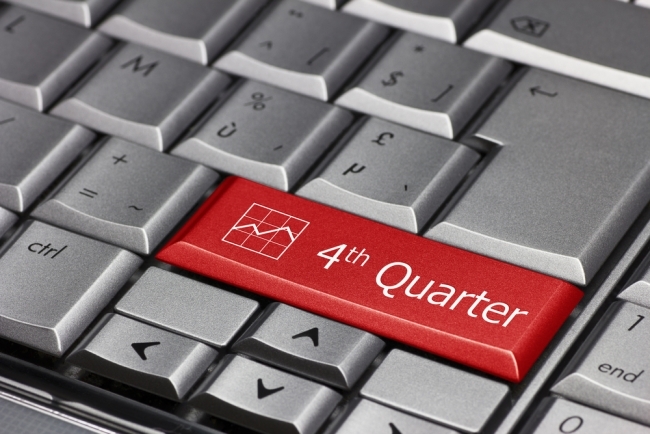 Demand from direct-response marketers was strong in the fourth-quarter holiday shopping periods, particularly in ecommerce. These marketers focus on short-term return on investment, so the growth we’re seeing speaks to our ability to efficiently drive sales for them. For example, online retailer NoMoreRack used Facebook to promote its holiday deals. It hit its aggressive ROI targets, and it generated $8 million in revenue on Black Friday alone. We’re also making remarkable progress with SMBs (small and midsized businesses), a segment that many in the industry have long considered the Holy Grail of online advertising, and a segment that I’ve been particularly focused on throughout my career. In November, we reported that more than 25 million SMBs maintain active pages on Facebook. We’ve made a big investment in simplifying our ad products over the past year, and that investment is working to convert these SMBs into advertisers. Of the new SMB advertisers we acquired in the fourth quarter, 72 percent started with our most simple ad product. For developers, mobile apps are generating very healthy revenue growth. We launched mobile app install ads just over a year ago, and mobile app engagement ads last quarter, based on a very simple idea — that we can help people find and use great apps. This is working even better than we hoped. We’re helping developers attract new customers and keep them engaged. We remain excited about the opportunities in this small but quickly growing category. In addition, last week, we announced a small test to show Facebook ads in third-party mobile apps. We won’t have meaningful results for a while, but it’s an interesting area for us to explore. And finally, we’re making steady progress with our brand marketers, particularly in verticals like CPG (consumer packaged goods). We’re helping them connect with customers in more dynamic ways, starting a small test of our new video ad product, and measuring our impact on their sales, which is super-important to driving their business. The third driver for both the quarter and the full year has been our investment in product development. We’re especially pleased with the improvements we’ve made to our targeting capabilities and measurement tools. Our goal, as Mark said, is to make our ads as useful as possible for consumers and to generate greater returns for marketers, eventually making all of our ads as valuable to users as our organic content. Custom audiences is our most important product in this effort. When we launched it over a year ago, it allowed marketers to reach their current customers on Facebook. Since then, we’ve built more targeting capabilities, while maintaining user privacy. These include lookalike targeting that lets marketers reach people who are similar to their best customers, and partner categories, which use third-party data to improve our targeting. Now marketers can reach exactly the people they’re looking for, such as people who buy fashion apparel or are in the market for a new car. We’ve more than doubled the number of partner categories in the U.S., and we now offer more than 1,000. And we believe there’s still significant opportunity ahead, as we continue to improve our targeting capabilities. We’re also making major investments in measurement so that we can measure the impact of our advertising on in-store sales. In December, we launched offline conversion measurement. To date, our results show that the average return on ad spend for News Feed campaigns is eight times, a result that is really impressive when compared with other returns marketers have available. As Mark noted, this is the beginning of a new year, and our 10th anniversary, so I want to reflect really briefly on where our advertising business and where we believe the marketing industry is headed. Before mass media, all business was personal. Sales happened customer by customer at the local store or door-to-door. The evolution of mass media made it possible to sell at scale, but business was no longer personal. On Facebook, marketers can do both. We’re building the world’s first global platform that lets marketers personalize their messages at unprecedented scale. This is marketing where you are for who you are. This shift to personalization represents the biggest shift in marketing in generations, and it’s one that we are uniquely positioned to lead. Facebook is the only place where 750 million people visit every day, increasingly on mobile, to discover what matters to them. As we continue to leverage our understanding of people to make marketing more personal, and do it at massive scale, we will dramatically improve the quality of ads and drive more personal discovery. As I said, and I’ve talked about each quarter, targeting is a huge, huge issue for us, and a huge opportunity and challenge. Our goal is in a privacy-safe way to get information we can about what consumers want, and then help connect marketers, so that the ad experience is great for users. We’re serving relevant ads. Whether that information comes from the kind of things people like on Facebook or other websites they visit, or contextual statements they might make in their status updates, our goal is to use that information in a privacy-safe way to improve the targeting of the ads on Facebook. To take one example, if you look at what’s happening with our direct-response business, which has been a very strong segment for us, if you look at people trying to find consumers, we offer the opportunity to get people before they search. We can judge interest based on other things, other things they’re interested in, and give people the opportunity to find consumers before they search so that they can then move them all the way down the funnel into purchase. And in terms of quality, I just think that there’s a lot of room to grow here. I said in my opening remarks that we have this long-term goal of making the advertising quality content as good and as relevant and timely as the content that your friends are sharing with you. And at first blush, I think that seems kind of crazy in that your friends’ stuff will obviously always have the advantage of being immediately socially relevant to you. But at the same time, a lot of the folks who are advertising really invest in the quality of the content that they’re producing and putting into their ads, and improving the targeting of their ads to deliver the right messages to the right people. And I don’t think that there’s a single-step function that we’re going to see here, although there are things like the video formats that really enable new kinds of rich experiences, that folks who can invest in building those can really benefit from. At the same time, I think a lot of this is going to be incremental. So as we make improvements, more advertisers come into the system, and as more advertisers come into the system, we have more options of relevant content to show to people, and that improves the quality, as well. So this is just going to be something that we’re going to focus on for a while, and there’s a long way to go before we get to the quality level that we want. But I think over a multiyear period, we can get there, or at least very close. And that’s a nice way to end the call, because one of the really big opportunities we have is to make these ads more personal. So just as we can have social context, obviously, from the user content, we put social context into ads. So we can take these ads that marketers can deliver at scale, improve the targeting, and give them social context, which will help drive the kind of opportunities Mark is talking about to make the ads as relevant as the user content.